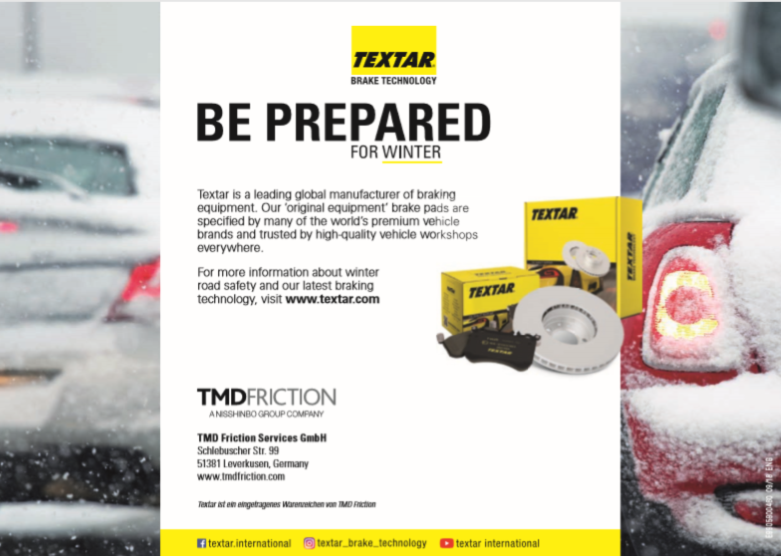 Our IMI Skill Auto sponsors, Textar are there to give advise on how to tackle the winter roads. Snow, rain, ice, wind and fog. Winter brings a host of extra challenges for motorists. 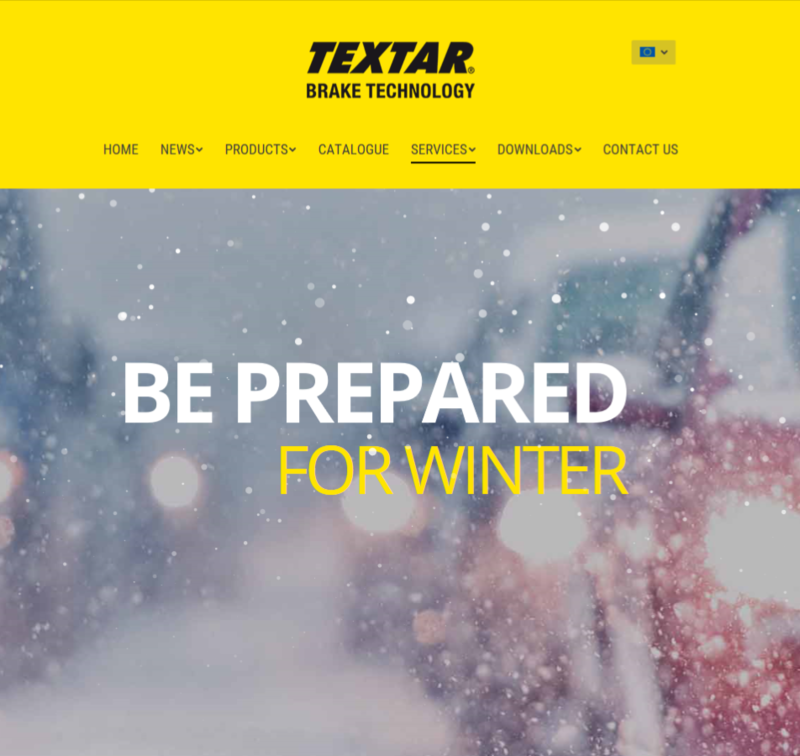 Textar is supporting workshops and the trade by preparing drivers for the winter season with a new campaign. The campaign includes a brochure and a video – with helpful pieces of advice. These include guides and tips including tyre and brake checks, and packing an emergency kit. The video also provides helpful instructions for driving in hazardous conditions and in winter weather. Textar is a world-leading manufacturer of brake products, so they make sure driving safety is their top priority. Bad weather will quickly expose any faults on your vehicle, so it’s very important to service, top-up, and replace all the essentials ahead of the winter months. Winter tyres help to improve grip and control, so make sure you change over at the end of autumn. In addition, you need to keep a closer eye on tyre condition. When driving in slippery conditions, anti-lock braking systems (ABS) can help increase safety, but there’s a skill to using them. Brakes are the single most important safety feature of your car. Ask your workshop for a winter brake check – and replacement if necessary. Always be aware of the impact of snow and ice on braking performance. 95% of collisions are a result of drivers not being in control. Adjust your driving style to cope with ice or snow. A winter driving course is a good idea to help you get to grips with driving in difficult and unfamiliar conditions. and preventing corrosion in your cooling system. And of course it stops your engine from freezing in all but the lowest temperatures. Running out of fuel is one of the most common causes of breakdown. Travel disruption and extra demands on your vehicle mean you could get caught out. Your journey may be over, but your car doesn’t have to be moving to be dangerous. Think carefully about where you park. The risk of breakdown increases significantly in bad weather. So it is important to prepare for the worst and pack emergency equipment. Before beginning your journey, always check around your vehicle – to make sure that you have good all round visibility and that other road-users can see you. Driving this winter does not have to be a daunting experience. Your local workshop or garage will have fully trained and experienced technicians who can help you avoid some of the most common winter car troubles. Textar is a leading global manufacturer of braking equipment. Their ‘original equipment’ brake pads are specified by many of the world’s premium vehicle brands and trusted by high-quality vehicle workshops everywhere.